Excuse the terrible quality of the photo! 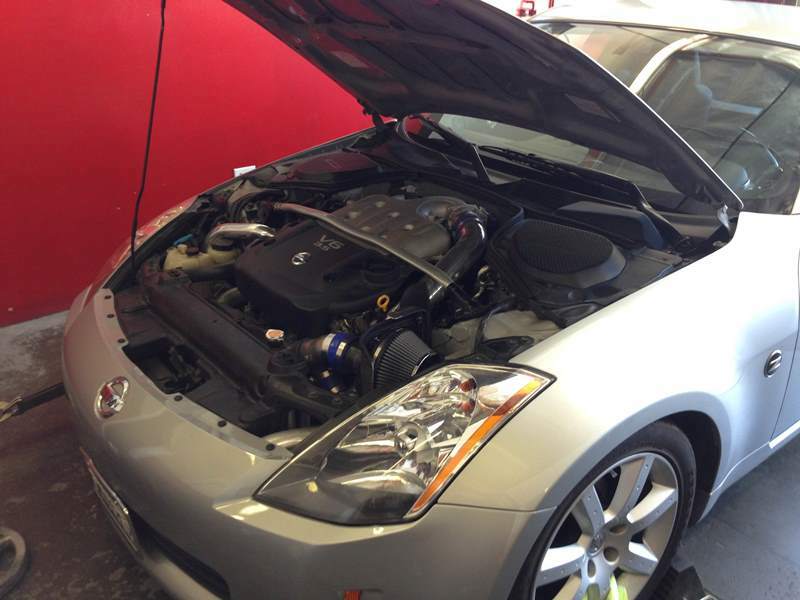 David’s 350Z came in for a tune with your basic bolt-ons such as a cold air intake, test pipes, and cat back. 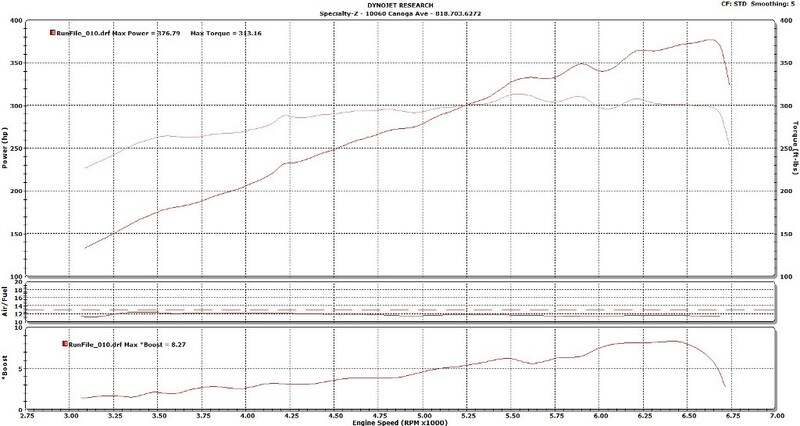 We don’t typically blog on “common” dyno tunes but the results of David’s tune were impressive for the VQ35HR engine. We didn’t complete the baseline pull because of how far off the AFRs were (blue run). 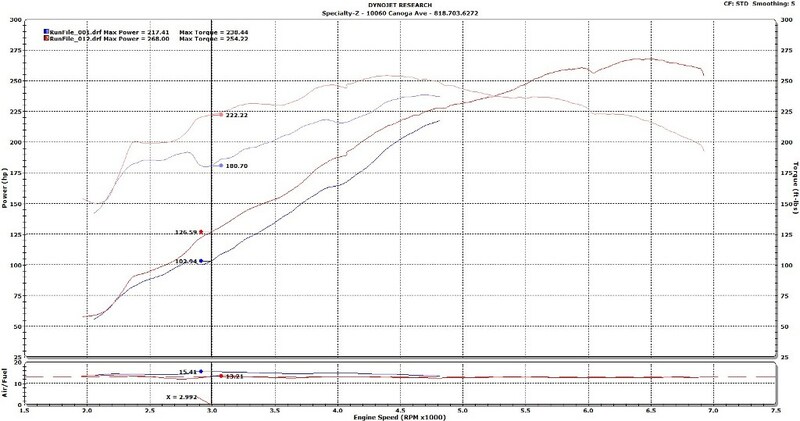 At 4500 RPMs we picked up 9 whp and 11 torque. 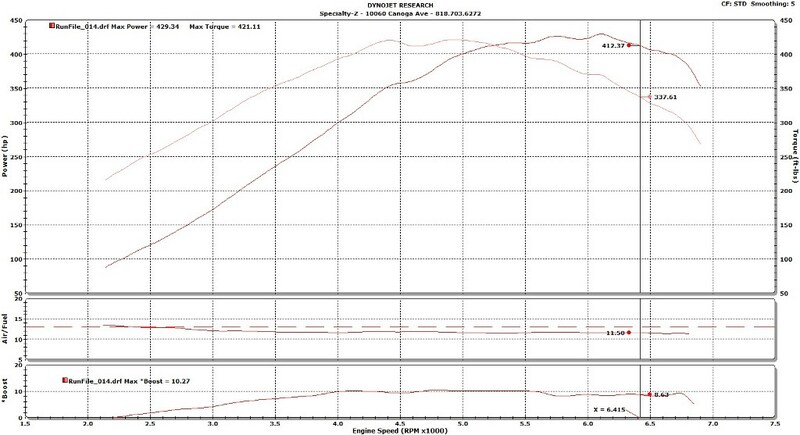 An impressive 297 whp on 91 octane. Running with the 370Zs in terms of peak power made. 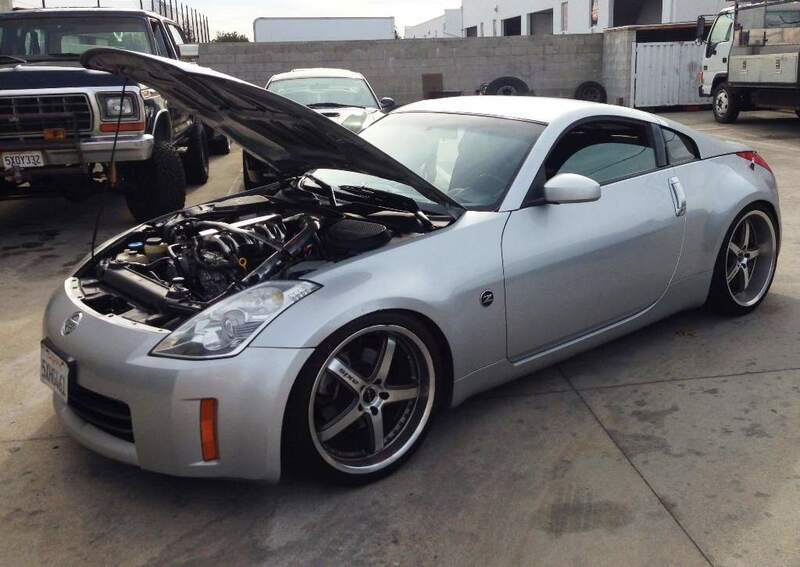 Masis dropped by with his 2006 350Z for some tuning on 91 octane. 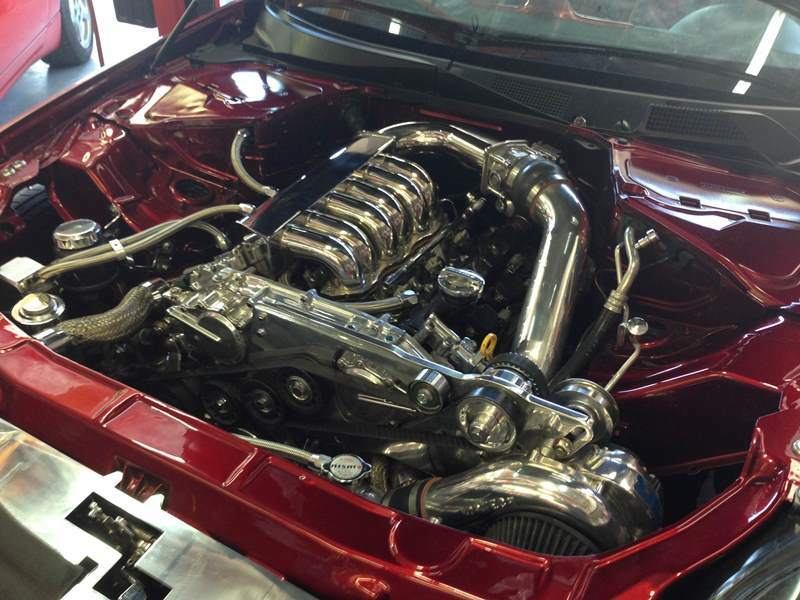 It uses a naturally aspirated built IPP long block running 11:1 Wiseco pistons and Eagle rods. 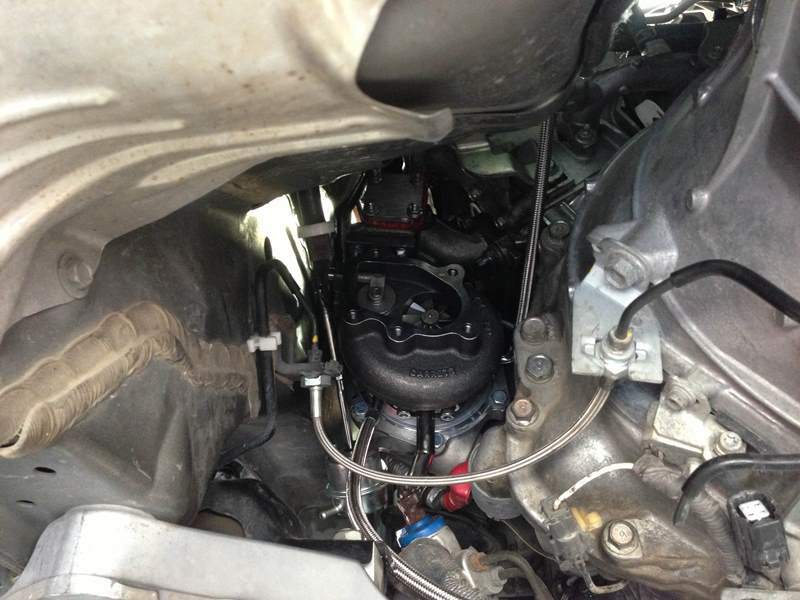 It also uses JWT S7 camshaft featuring 262 degrees of duration and 11.43mm of lift. 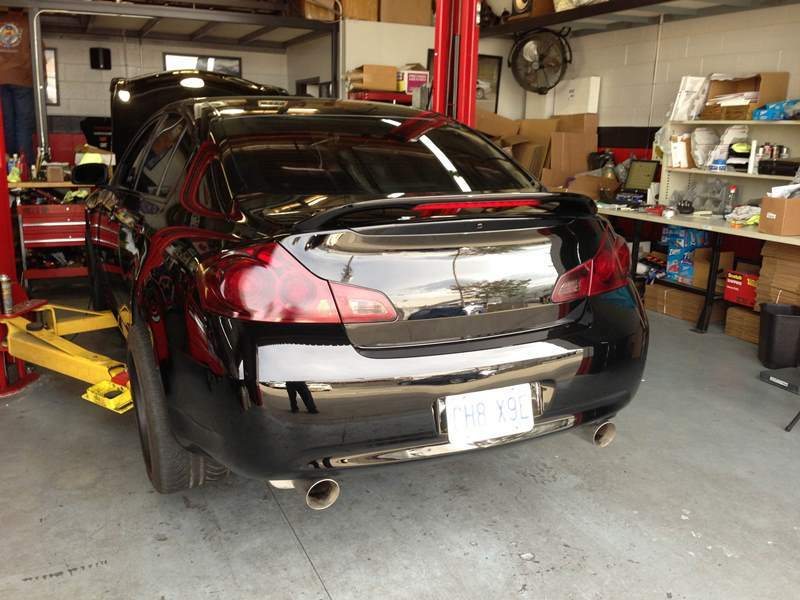 For the exhaust it uses aftermarket headers, test pipes, and NISMO catback. 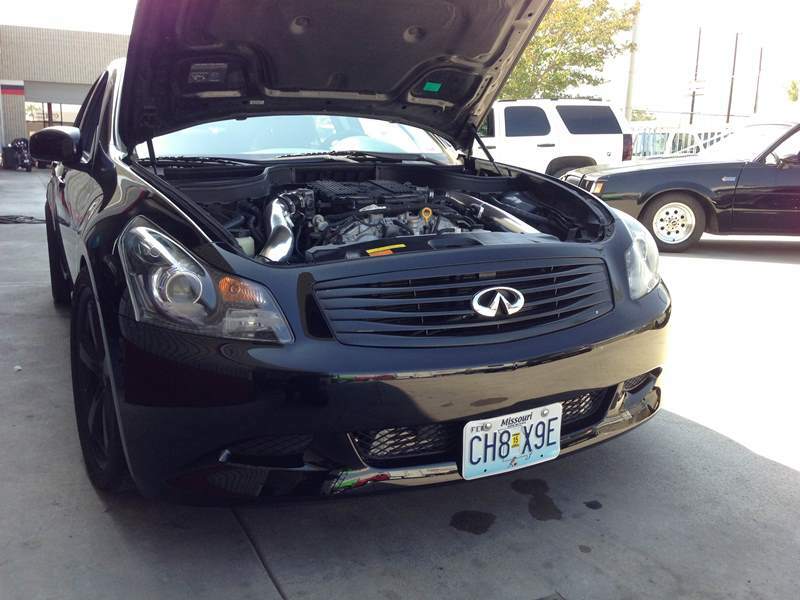 On the intake side it uses a Kinetix intake manifold and Injen cold air intake. 290 whp and 260 torque. 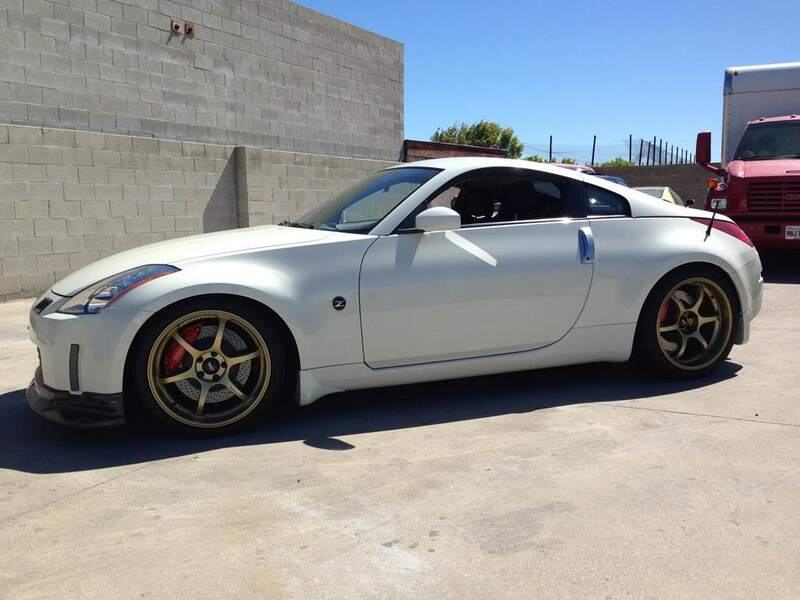 With higher octane fuel or ethanol this Z can make well over 300 whp. 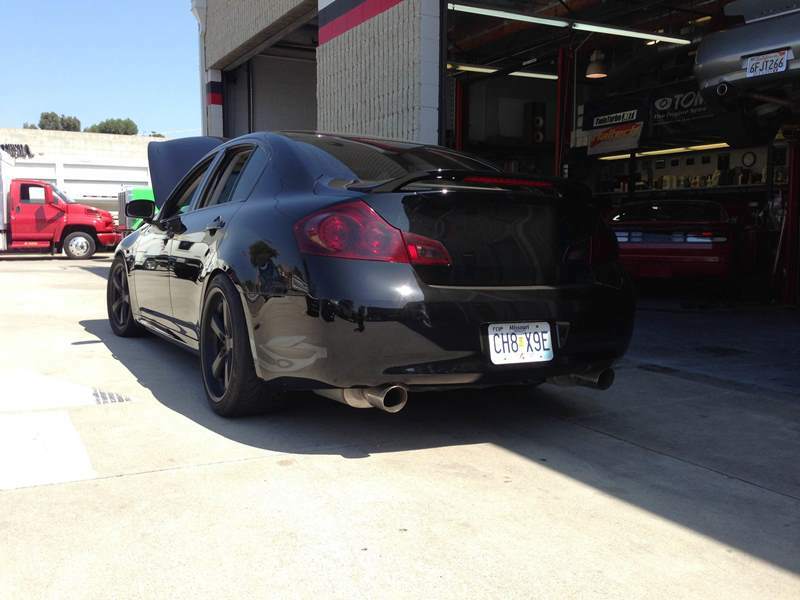 Chris came back for a retune after installing the factory cats back on the Z. We were pleasantly surprised with the results. 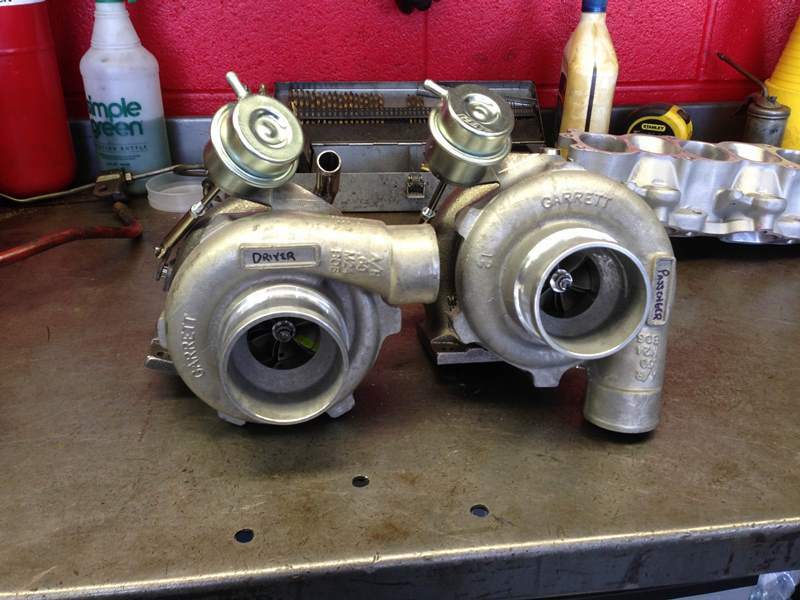 On 9 psi of boost and 91 octane for 352 whp & 377 torque. On 11 psi of boost we made great numbers. 398 whp & 380 torque. 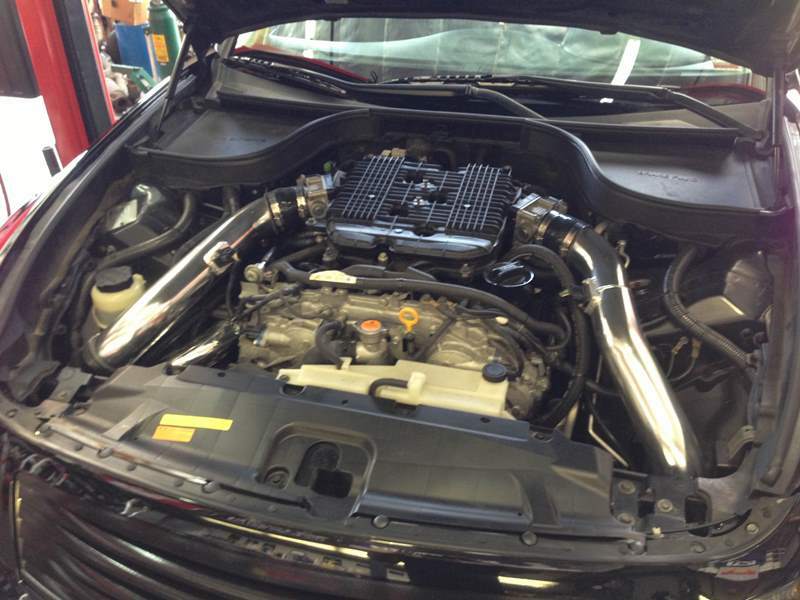 Vivek came back for some small upgrades and one of them was a pulley swap on the Vortech blower. You can see his last post here. It’s hard to tell much change from over a year and a half ago but besides the smaller blower pulley we added an idler pulley on the front side of the blower bracket for more belt wrap which will help with more consistent boost pressures. 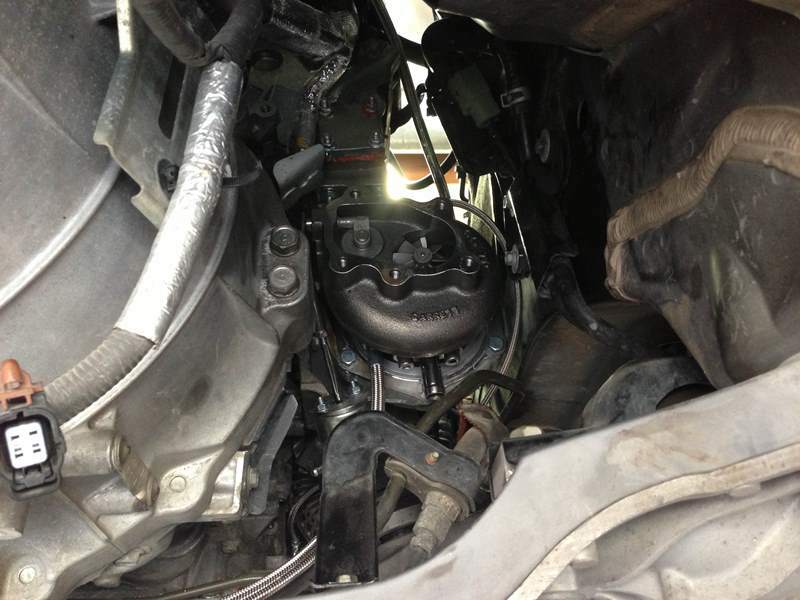 We went from the 3.33″ pulley to 3.12″ pulley on the blower. 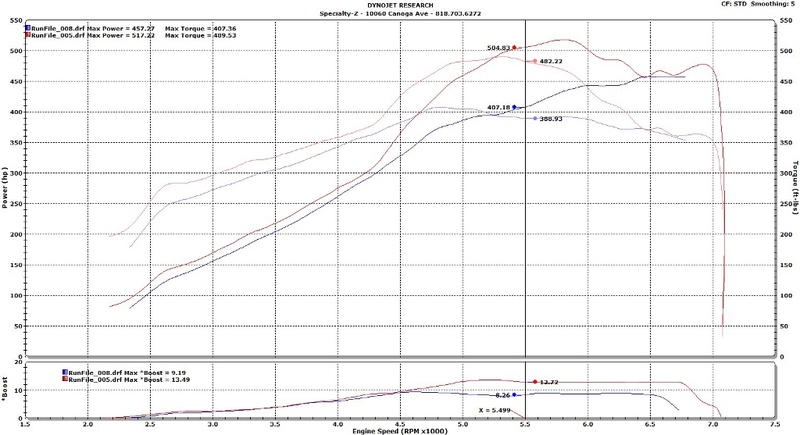 376 whp for 34 whp more over peak and 313 torque up from 287 torque. Steve sent us his black sedan for some sleeper power. 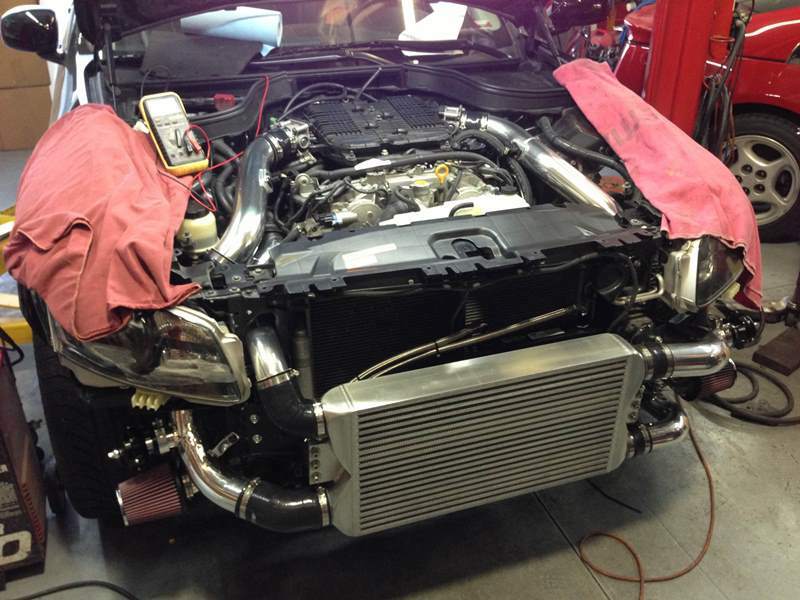 We went to work installing a GTM Stage 2 Twin Turbo Kit with all the fixings. 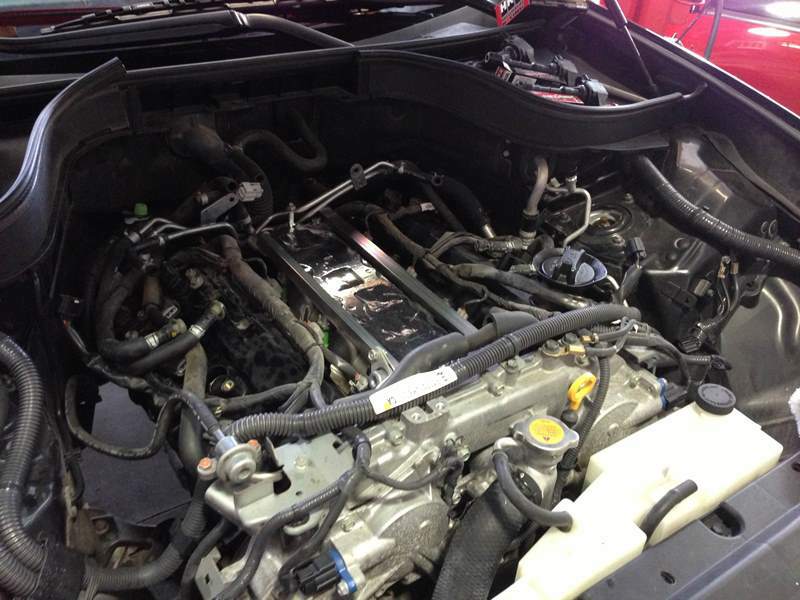 Intake manifold off to install the larger fuel injectors, colder spark plugs, and replace both valve covers. The driver side turbo installed. 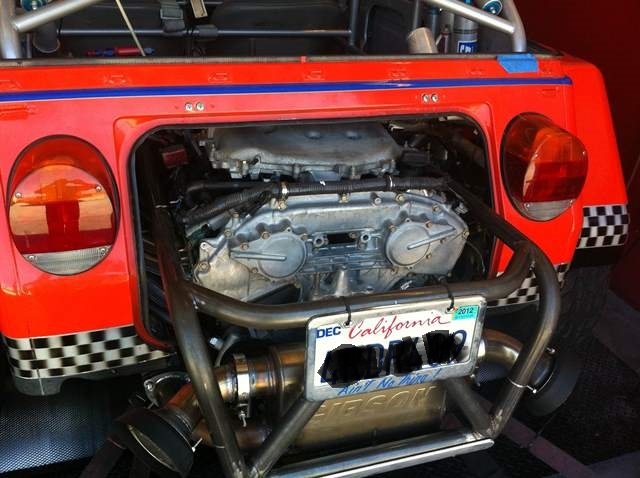 We also added a GTM 34 Row Engine Oil Cooler located behind the large intercooler. The kit uses Tial BOVs which can be seen near the air filters in the above picture. 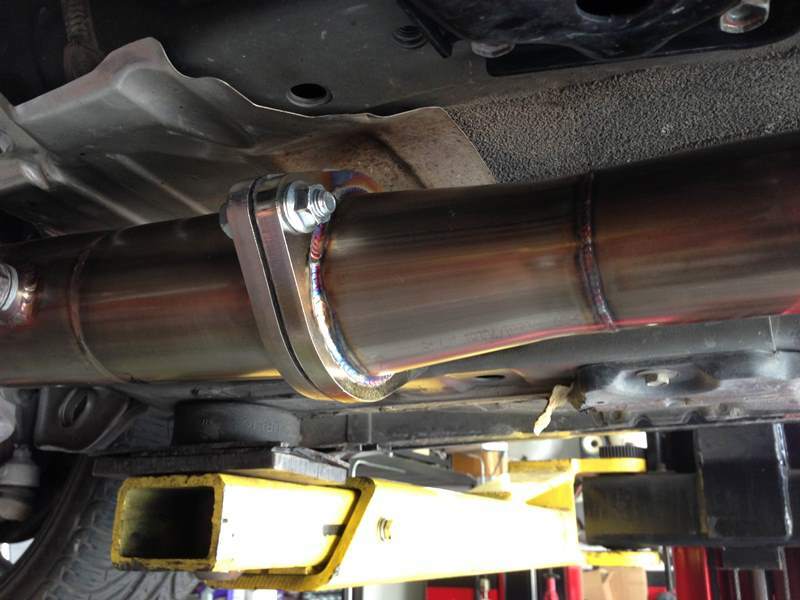 Since we went with the larger 3″ down pipes we modified the Stillen catback to cone up and then down for optimal flow. It would be hard to tell its turbocharged. 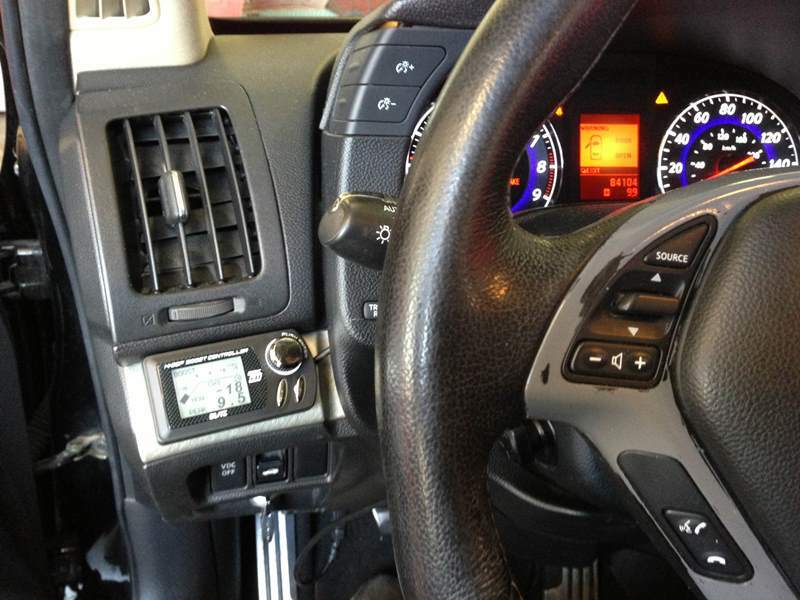 Boost is controlled with a Blitz sbc-iD Spec-R.
For good measure an Innovate MTX Digital Wideband Gauge was installed in the glove box. 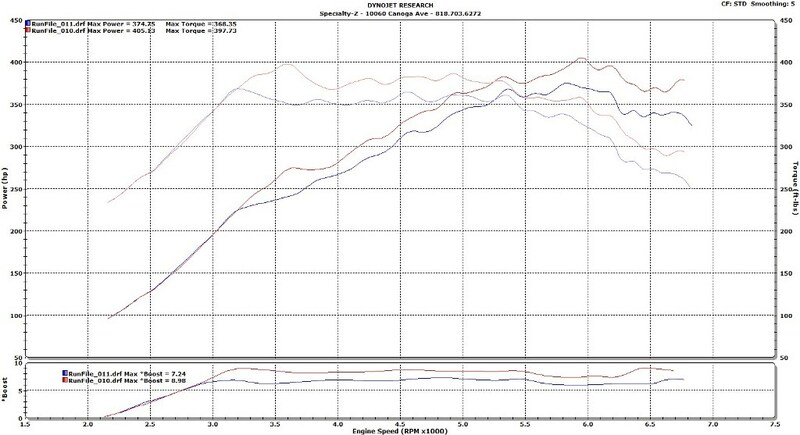 Tuned on 91 octane for 449 whp and 388 torque on 9 psi peak of boost. 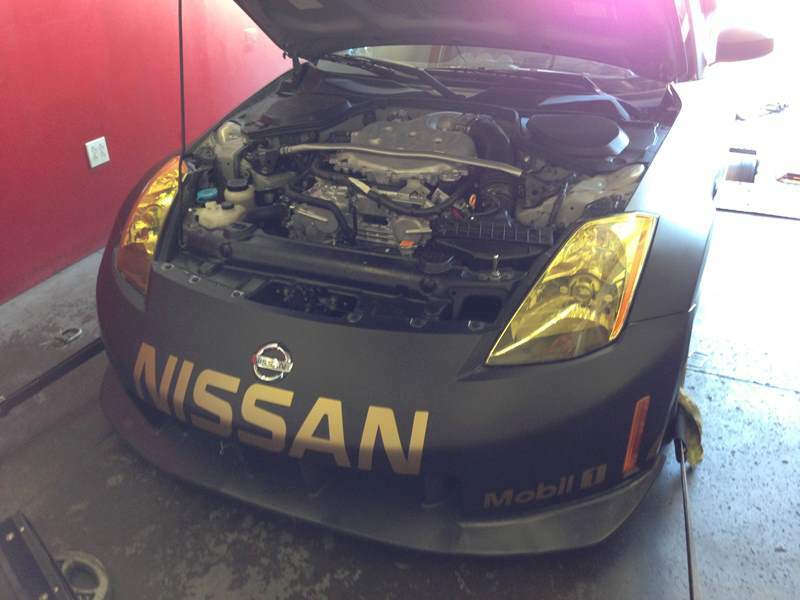 Rory came by a few weeks ago to tune his 350Z. Equipped with a JWT TT Kit we went to work replacing a few maintenance items and tuning. All on a stock block. 91 octane and two different boost levels. 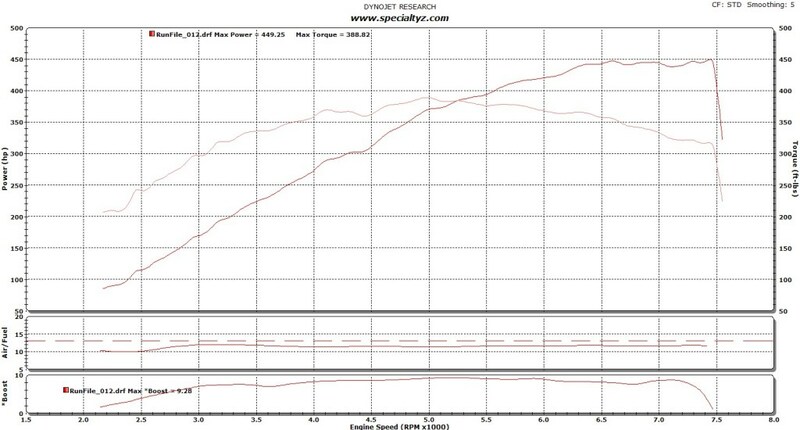 405 whp on 8+ psi and 374 whp on 7 psi. 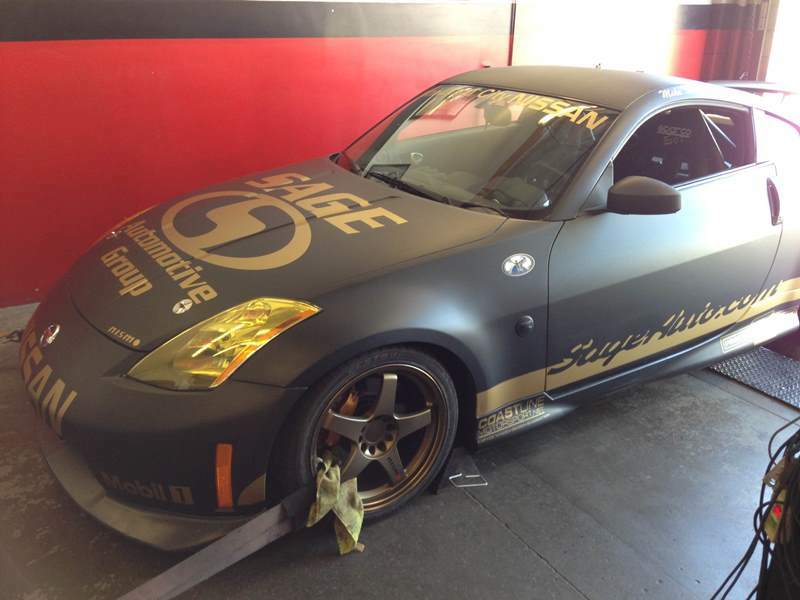 Geo’s 350Z came to us for some attention after some years of running on a Greddy TT kit. We upgraded the fuel injectors from the RC 440cc to new Bosch 650cc. 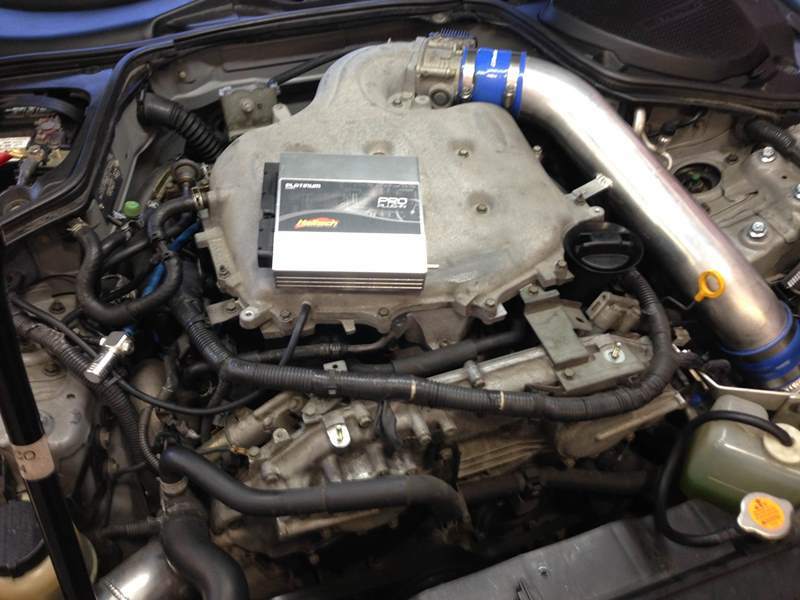 We also replaced the ECU with the new Haltech Platinum Pro-Plug-In. It previously had the old Haltech patch harness kit. 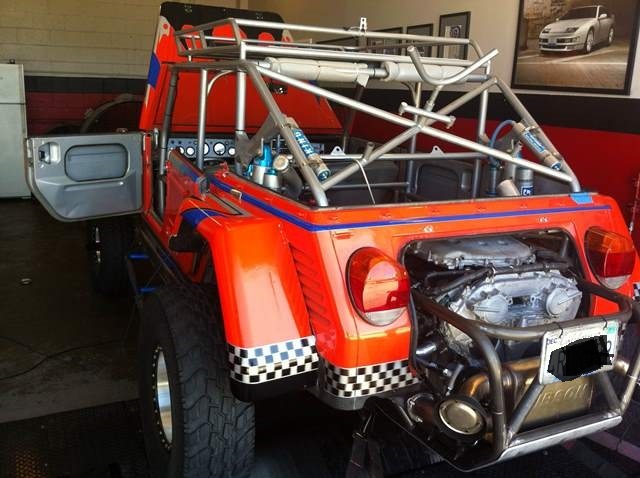 The shortblock has been built with Wiseco forged lower compression pistons and K1 rods. 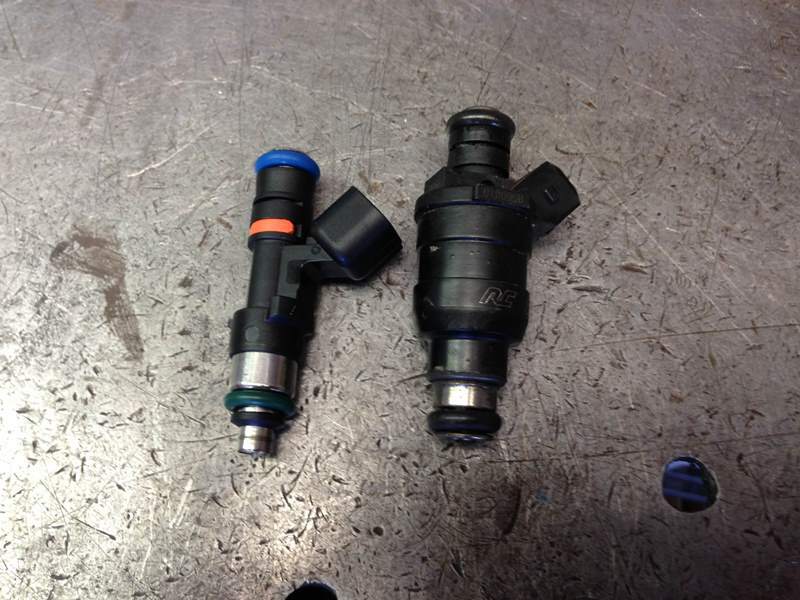 New Bosch injector on the left and old RC injector on the right. 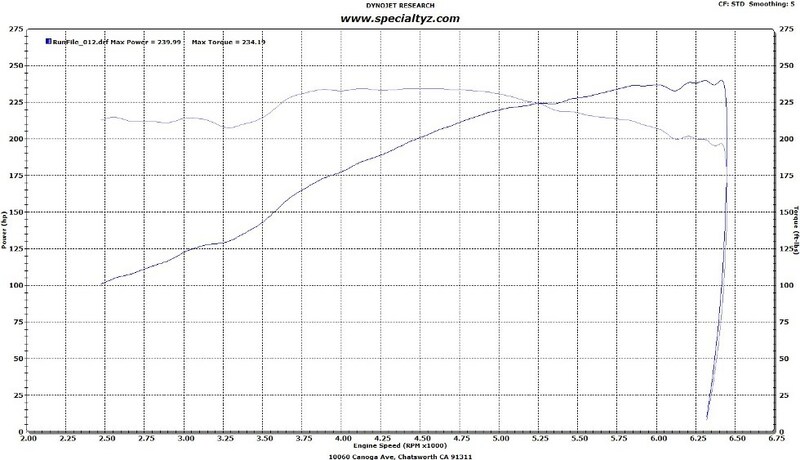 Tuned on 91 octane for 429 whp and 421 torque. Ben came back a few weeks ago from Vegas after having completed a few more efficiency changes to the JWT TT Kit. This allowed us to increase the boost pressures more. 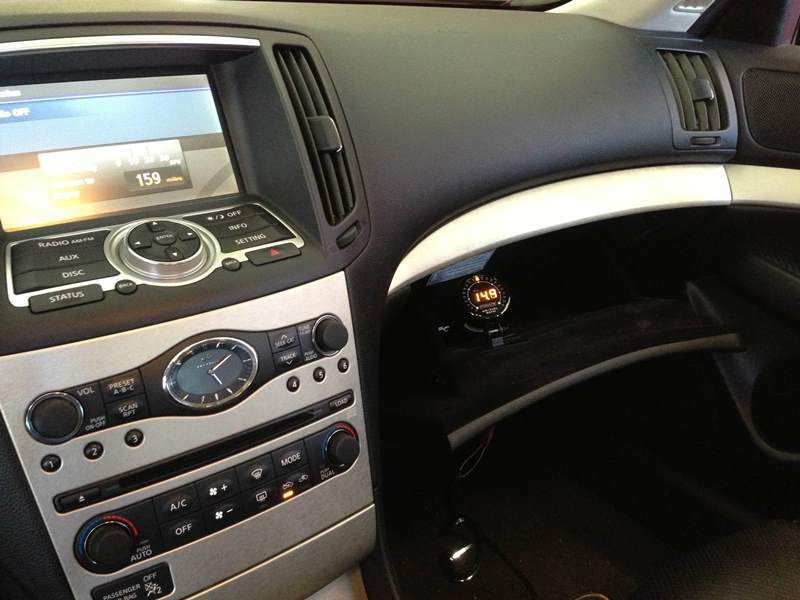 Here was the previous blog post on this G.
All on 91 octane. Nice increase in power! There is still more to do to improve upon the efficiency. 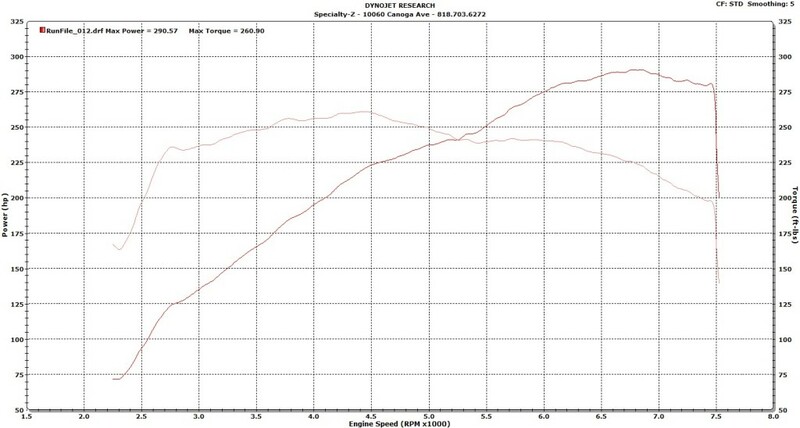 Almost 100 torque and whp gained at 5500 RPMs. Ben’s put over 60,000 miles since we last tuned it! 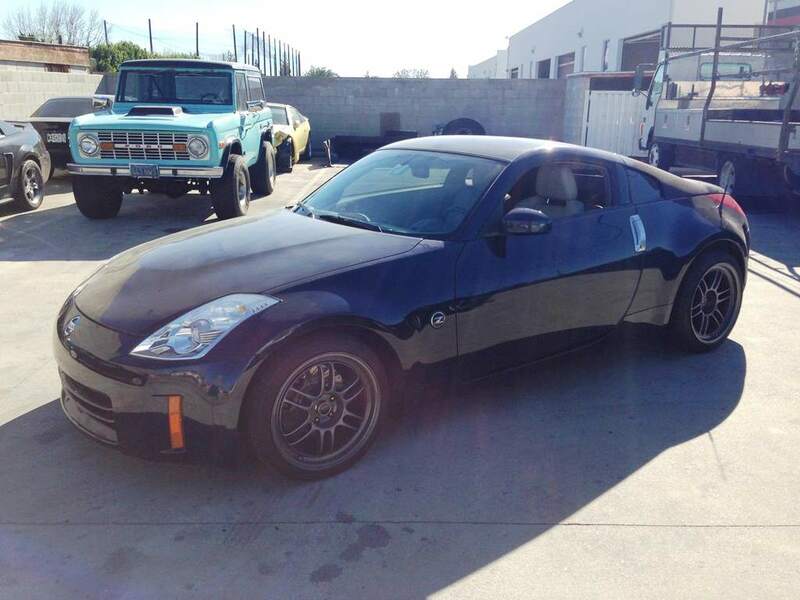 Precision Z brought over the Universal City Nissan Track Z33 for some tuning. Armed with minor bolt-ons and JWT cams we went to work tuning. We didn’t complete the baseline run because of how far off (dangerous) the original tune was. At 3k RPM we gained an impressive 42 ft\lbs of torque! 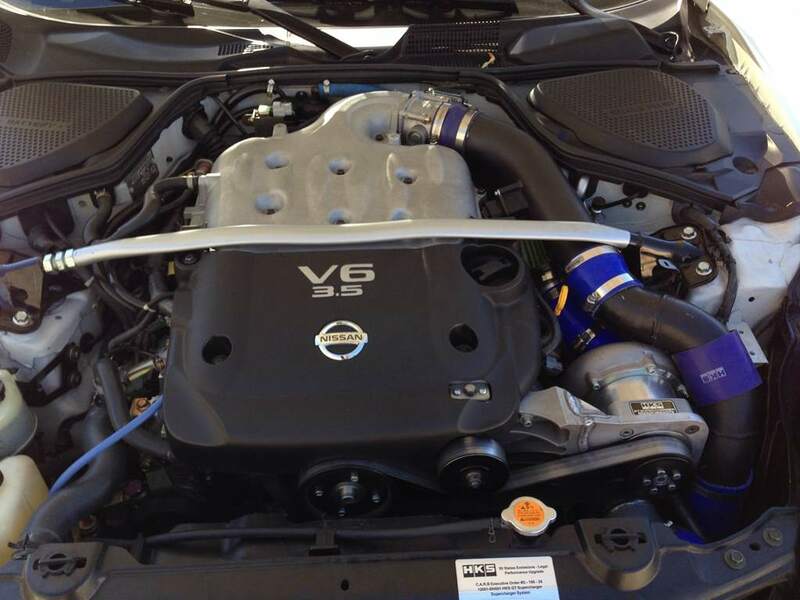 Now this VQ can make power all the way to redline, safely!